One call. Red does it all. In addition to new HVAC technologies, we provide top quality home heating oil and propane. We keep your family warm in winter, cool in summer—and comfortable all year long. 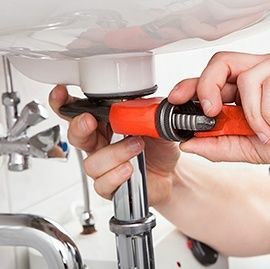 Call us for full-service plumbing repair and installation. Up to $200 value of free services! For new Heating Oil & Propane Customers. 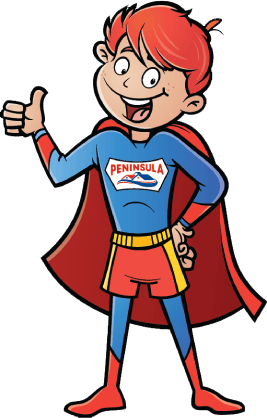 At Peninsula, we don’t just deliver propane heat, oil heat, or alternative heating fuels to your home. We build long-standing reputations of respect and trust, home by home, family by family. And we’re proud of that! Since 1935, we have been offering home heating options to families along the Maryland and Delaware peninsula. 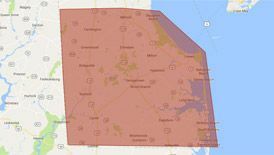 With over 80 years of experience servicing the close-knit communities of the Delmarva Peninsula, we know reputation is everything. That’s why we take pride in delivering your oil or propane to you on time and with professional service. Pay your bill, request service, schedule a fuel delivery, and more. On-time deliveries, ensuring you'll never run out of fuel. Reliable, around-the-clock emergency service, 365 days a year. Outstanding products and unmatched installation and repair since 1935. The very best equipment and services for your needs and budget. To keep your heating and cooling system running at optimum performance, we highly recommend our annual tune-ups. 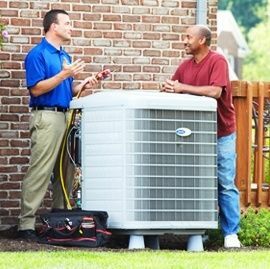 Our experienced techs will put your heater or air conditioner through a 15-point plus performance checklist to discover any problems and maximize its energy efficiency. An efficient system can save you money on your monthly energy bills! We also provide dependable emergency service any time of the day or night, every day of the year. With Peninsula, total home comfort is never more than a phone call away! 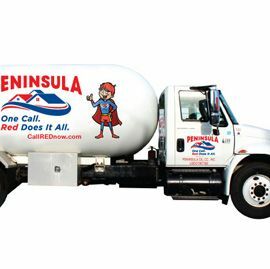 Never worry about your oil or propane needs again with automatic scheduled delivery from Peninsula. Propane – Our free delivery service guarantees you’ll never run out of propane! We use sophisticated tracking and scheduling software to monitor your fuel supply and carefully examine past usage to determine when you are in need of a propane delivery. Oil – Stay cozy and carefree in winter with our home heating oil delivery service. And ask about TankSure®, our testing, inspection, protection, and warranty program for your aboveground fuel oil storage tank. Drain cleaning – We can eliminate tough clogs in the kitchen, bathroom, and even your main sewer line. Water heater services – Peninsula offers a full range of water heater services from installation and repair to replacement and ongoing maintenance. We service gas, electric, and tankless water heaters. Toilet, faucet, and sink repair – Don’t go without these critical household needs! Call us for repair of your clogged toilet, leaky faucet, or stopped-up sink. Pipe repair – Contact us for pipe repair services including leak detection, sewer line repair, polybutylene pipe replacement, and more.